What exactly is PPC? PPC (Pay Per Click) is a method of paid internet marketing in which advertisers pay a fee to the search engines (such as Google) each time one of their advertisements is clicked – be it search ads, display ads or YouTube ads. in a nutshell, it is a way of buying a relevant targeted audience to visit your site at the very moment they’re interested in your product or service. This is an alternative to taking the long term SEO (Search Engine Optimisation) route to earn those visits organically, although a holistic campaign should include both methods. If you’re not sure what organic traffic is, please see our first SEO post. Factors involved when building a Pay Per Click campaign. You/We need to research which keywords are going to work best through an in-depth understanding of user intent (i.e. what customers type into search engines) and conversion techniques. You then need to organise your chosen keyword themes into ad groups. 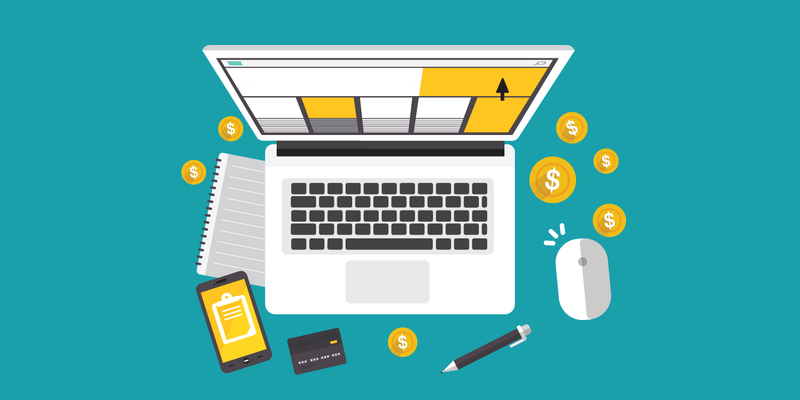 If you are unsure of how PPC – Pay Per Click works and your campaign is not built correctly, you’re most certainly going to waste a ton of money. The benefit you get by working with a certified Google Partner, other than the obvious campaign structure and knowledge, is the trust factor built into their/our advertising accounts. This means that better advertisers will get quality boosts and cheaper clicks with better ad positions due to the overall quality score value of their account. Ensure you create relevance in your Pay Per Click campaign. PPC – Pay Per Click is about more than just running an ad. Because the volume of information is so dense on the internet, you will need to ensure that your keyword, advert and landing page are all relevant as well as optimised for conversions. If your keywords, adverts and landing pages are authoritative and relevant to users, Google gives you kudos by way of quality score, meaning less ZAR per click, which leads to a better cost per acquisition (CPA). When using Google Adwords (Pay Per Click), the correct knowledge can drive high volumes of relevant traffic & quality business leads for your sales team in a short space of time. If done properly, Pay Per Click can offer a substantial return on investment. PPC advertising should be seen as a marketing investment, where your return supersedes your search marketing costs + cost of sale. That said, many people attempt to build PPC campaigns themselves with very little luck – we’ve seen it first hand on numerous occasions. Of course, there are online courses to help you build a Google Adwords campaign, but keep in mind that you are competing against companies with established campaigns and years of experience. These companies make use of specialist search marketing agencies like Just Do Digital, who are in this game to get positive returns on their clients’ marketing investments.